By John ~ August 15th, 2008. Saviah Cellars is a family-owned winery located south of downtown Walla Walla, Washington, near the Oregon state line in the Walla Walla Valley AVA. Owner/winemaker Richard Funk and his wife Anita, both natives of Montana, moved to Walla Walla in 1991. Rich became acquainted with a number of the area wineries while working as an Environmental Health Specialist with the Walla Walla County Health Department. Through his work at the Health Department on water quality and wastewater issues, he got a firsthand look at the vineyards in the area and developed a relationship with a number of local winemakers who helped him get his start in the industry. 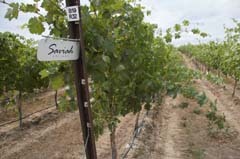 Saviah Cellars was founded in 2000 and currently produces over 6,000 cases per year. On our recent weekend visit to Walla Walla, we had the pleasure of having Rich personally pour our tasting and share with us his winemaking philosophy. We especially liked his Malbec and his Une Vallee Red Wine, but most important to us, all of his wines were ones that we could recommend which is not the case with most wineries that we visit. Incidentally, Rich is also the winemaker for the Brown family at Watermill Winery in nearby Milton-Freewater, Oregon, where he has made some excellent Syrah and Cabernet Sauvignon. After the standard tasting, Rich gave us a tour of Saviahâ€™s facilities and treated us to numerous barrel samples of his upcoming 2006 and 2007 wines. He is already making great wines and has some exciting projects in the works such as a multi-vintage Syrah. What impresses me the most about Saviah Cellars is the quality of fruit Rich is getting from vineyards not only in the Walla Walla Valley but also in Red Mountain and the Columbia Valley. In fact, we recently visited Stillwater Creek Vineyard where Saviah has some specific rows with exciting potential. Rich has invited us back in early October near crush time to tour the vineyards with him. Iâ€™m especially excited about seeing some of the Brown family vineyards and sites they own in â€œThe Rocksâ€ where even more exceptional vineyards may be planted in the future. Not only is Rich making some great wines, but he is an extremely nice guy to boot. 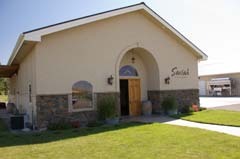 If you are in the Walla Walla area, Saviah Cellars is a winery that you should definitely visit. And even if you arenâ€™t able to visit, be sure to try some Saviah wines. I have had the good fortune to watch Rich mature as a wine maker. 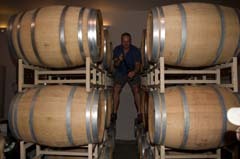 I hope the visitors to the Walla Walla take the opportunity to come out to Saviah Cellars. I am sure that you will find one or two and maybe several of Saviah Cellars wines to your liking. I do have a bias; as I work in the tasting room and appreciate all the comments that the wine bloggers have for us. Cheers!